Price listed is for six settings. 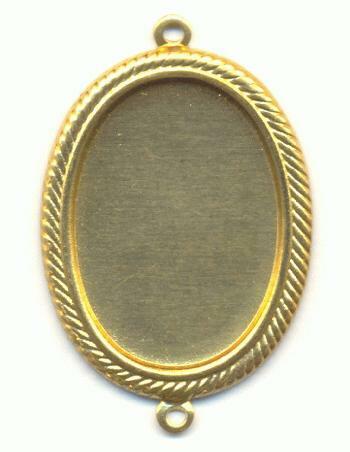 These are brass and they have a recess in the center for a 25mm by 18mm flat back oval stone. They have a rope style edge and two rings for connecting.